a serious issue that has returned after previous biochemical and scalpel applications. My client had decided that the first round of that treatment was more than what my client wants to endure again and started looking for alternatives. As often when we do things on our own and we fear for our life if we do not take action we can overdo it and take too many things and spend a lot of money; but I digress. 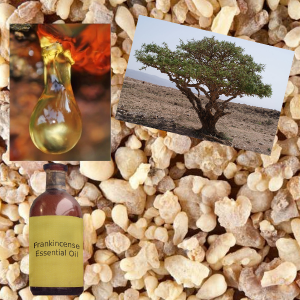 One of the things my client decided to start using is frankincense essential oil (you can find published studies here); did some research and went on-line to buy it cheap. Now, this story is not about a no name brand, or even a well known brand that has an over-hyped reputation. I will have a post in the future about that aspect of this multi billion dollar industry (could reach $11.67 billion by 2022). This story is about buying your oils on-line through mega shopping hubs, like Amazon, eBay and others. While I trust that items sold by Amazon Inc are new and in the condition that the manufacturer created, they also host other sellers to sell their own products from their own locations. Are you starting to understand where this is going? I have been told by a few people coming to my classes and workshops that they had bought an oil on-line that didn’t smell as nicely as the oil I was passing around during the event. They thought they bought the same brand. I had heard rumors about counterfeit oils and of oils that were tampered with by opening the bottles and replacing part of the contents with a diluter. Yes, you can buy a $90 oil for $60 after it has been diluted to $20. What is worst is that not only the properties that you expect will most likely be lost, but depending on the diluter the product could become dangerous. My client brought her bottle to show me what she has been doing. The scent already spelled trouble, being a little too aggressive. Now, unlike what a lot of aromatherapists might tell you, scent is not the final answer when it comes to quality. Not only are there many ways to manipulate oils, but the sensitivity of one’s olfactory system has a big influence on the perceived quality. Here, of course, we had my own trusted oil for instant comparison. Still, the second test was to look through the bottle into the light. Even thought we call these “oils” essential oils, they are actually not oils (no lipids in these bottles). Shaking the bottle we saw formation of bubbles at the bottom and they were surrounded by something that looked a little greasy. This wasn’t the case with my bottle. Clearly that bottle was not what it is supposed to be. Besides the fact that my client might not be able to get the money back this is not the time for them to play and waste time. The moral of this story is that when it comes to sourcing your essential oils to not only pay attention to the brand you buy but also where you buy them from.